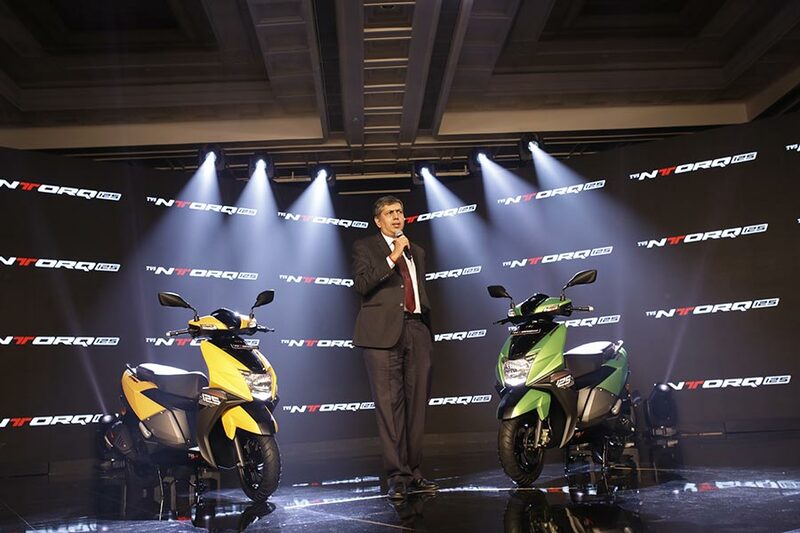 TVS Motor recently launched a brand new 125 scooter in India calling it as “NTORQ”. 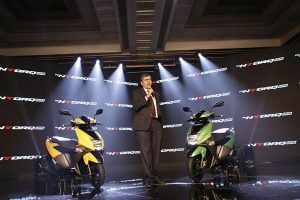 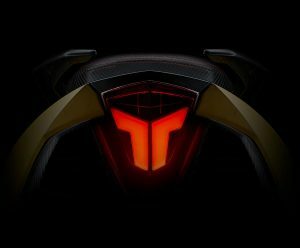 This is the very first time TVS Motor Company is launching a 125cc scooter – TVS is popularly known for its scooters like Jupiter, Wego, Scooty Pep+ etc (All 110cc scooters). 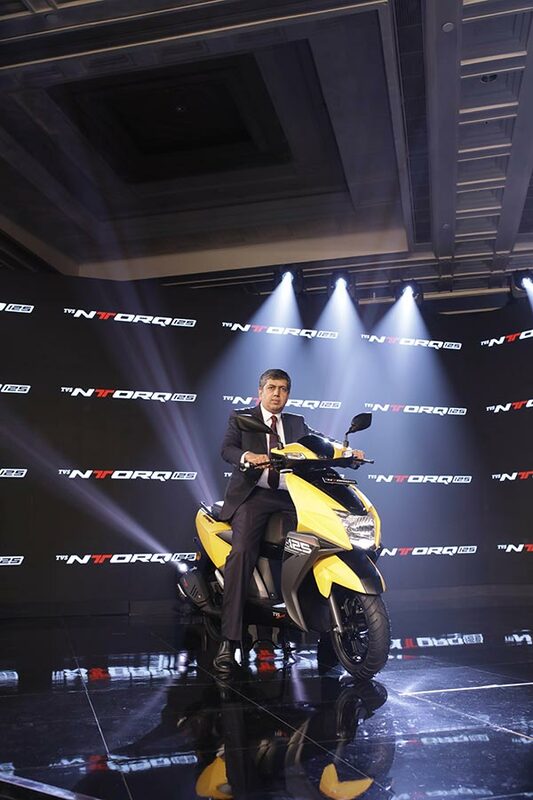 The all new TVS NTORQ gets so many industry first features. 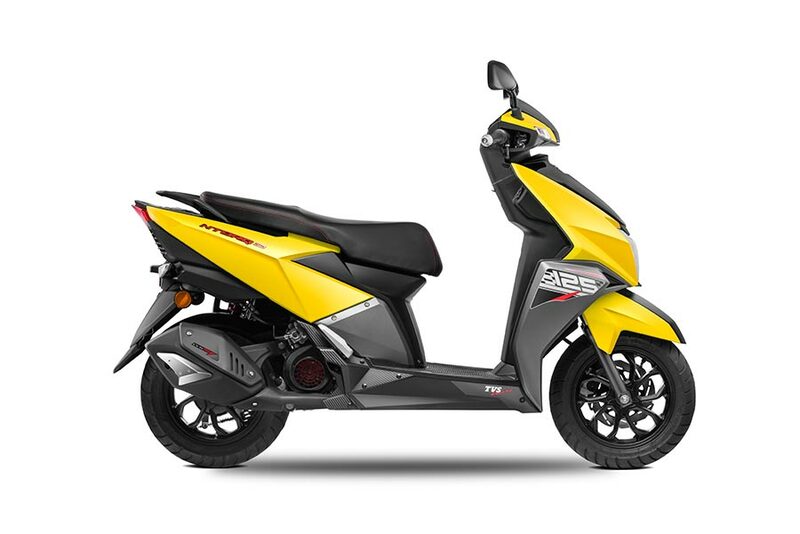 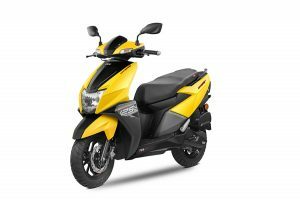 In this article we will discuss on available color variants of TVS NTORQ 125 scooter. 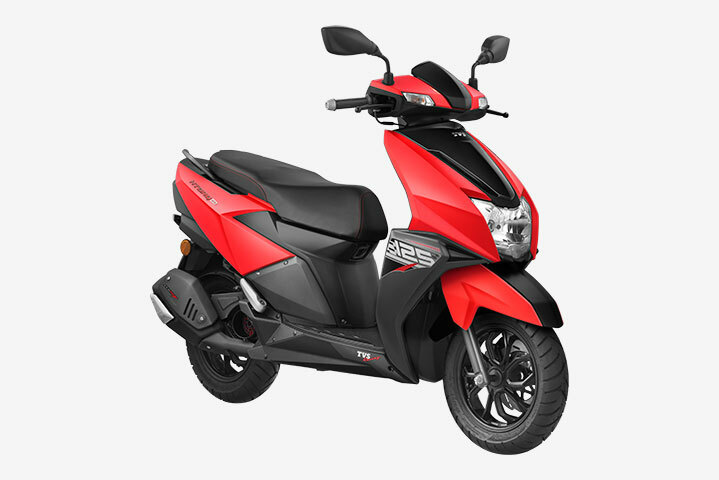 Check out the all new TVS NTORQ 125 in Matte Red Color Variant. 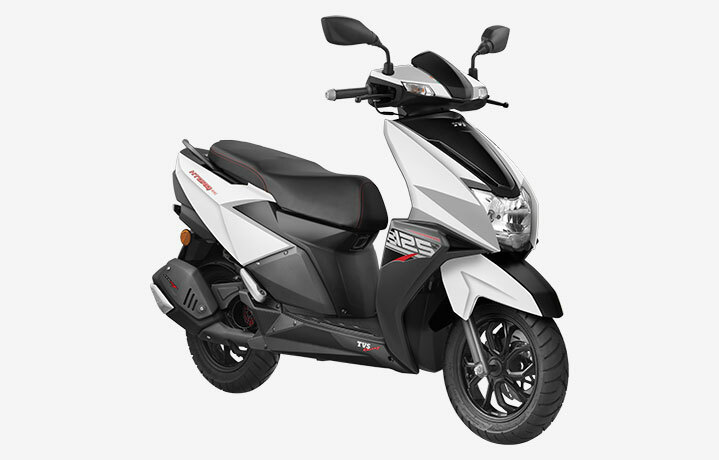 The photo above is TVS NTORQ 125 in Red Color variant (Matte Red). 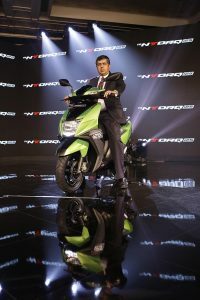 TVS NTORQ 125cc is also offered in green color variant (Matte Green). 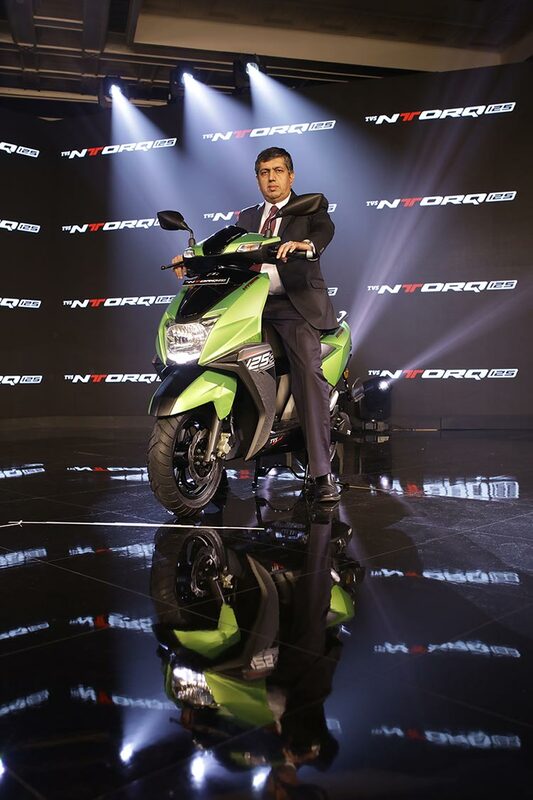 Above is the photo of TVS NTORQ 125 in Green Color (Matte Green). TVS NTORQ 125 gets the advanced CVTi-REVV 124.79cc, single-cylinder, 4-stroke, 3-valve, air-cooled SOHC engine that churns out 6.9kW@7500 rpm / 9.4 PS @7500 rpm and 10.5 Nm@5500 rpm. 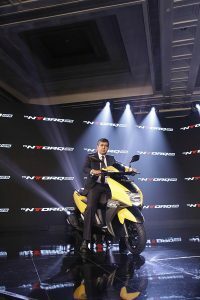 The price of TVS NTORQ will be around 58,000 ( Ex-showroom Delhi).